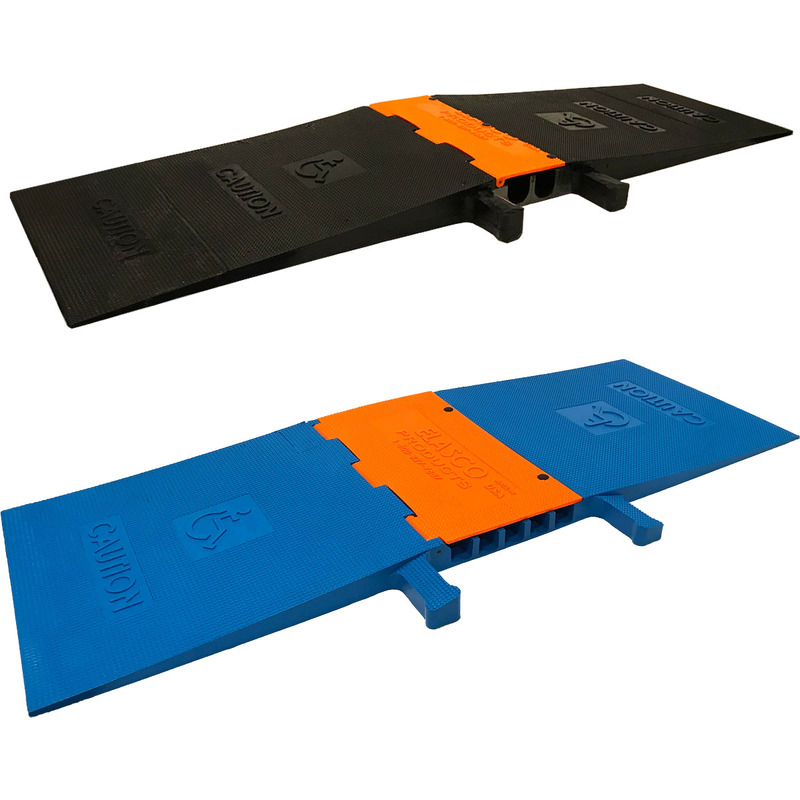 Offered with extra wide ramps for ADA Compliance, Elasco Cable Guards are constructed with a solid cast polyurethane base and lid that are connected by a reinforced fiberglass rod that wonâ€™t rust or corrode. These cable ramps hold up against natural and man-made elements and are compliant with safety requirements. 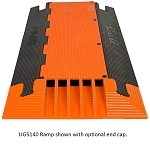 All lids offer a snap down feature to safely keep the lid down and secured to the base of the product. Made in the the USA, all our products are made using only the most premium materials. Might Guard: Focuses on protecting larger size cables & hoses from heavy duty vehicle traffic. 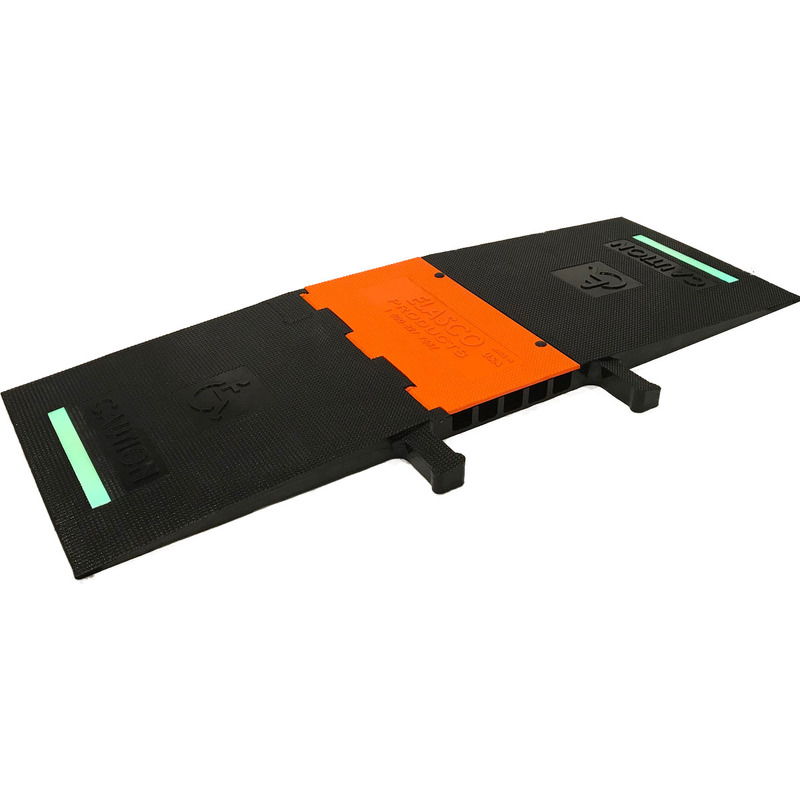 Ultra Guard: Offers an extra low profile. 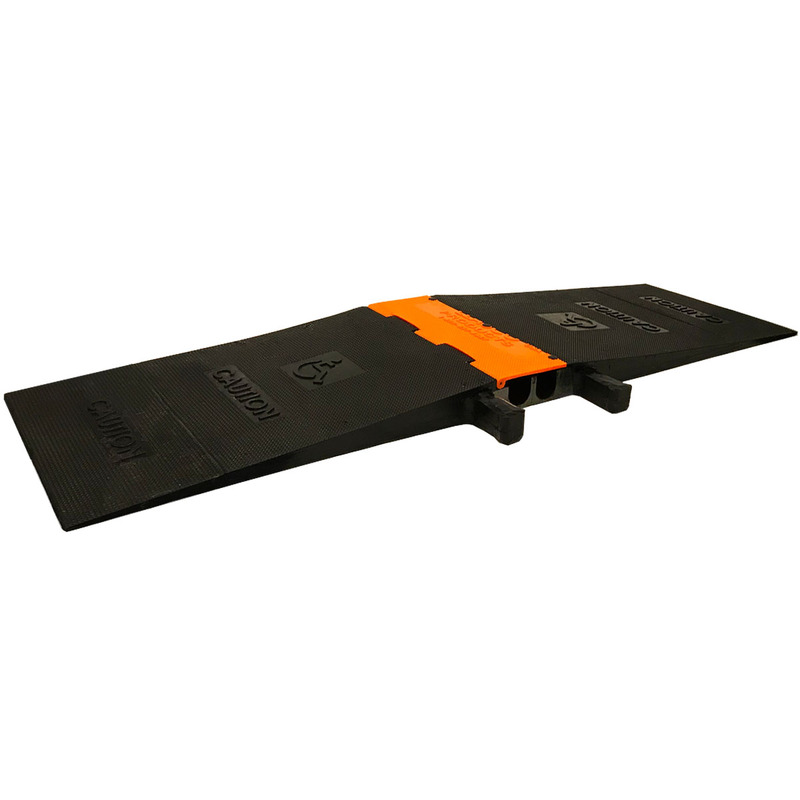 Click the "More Information" tab for all Product Dimensions. If items are not in stock, up to a 2 week lead time will apply. Polyurethane Product â€“ Compared to other materials such as Rubber, Plastics, and Metals, Polyurethane offers the best product characteristics. Copyright 2018 Electriduct. All Rights Reserved.